Who are you looking for? Where? 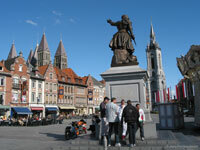 Discover restaurants in Hainaut : click on the name of a place. In order to research on different place names, please press "Search".